This presentation provides an overview of a new online training in Legionella prevention following guidelines from the CDC Toolkit and ASHRAE 188. The training utilizes a 7-step protocol for assembling a water management program team and developing a water management plan. Materials include interactive informational modules, real-world case studies and worksheet templates for learners to implement their own water management team and plan development. Dr. Sexton has worked as a researcher in environmental science, specializing in the occurrence and control of environmental pathogens, for over 16 years. He has worked in a variety of settings, including homes, offices, hotels, healthcare facilities, transportation, restaurants, agriculture, and fire stations. Currently, Dr. Sexton is evaluating the applied use of disinfectants and sanitizers on porous and non-porous surfaces in the healthcare arena. In addition to research, Dr. Sexton has a large involvement in community outreach. For the past 11 years, he has regularly spoken at local K-12 schools, after-school programs, and other community events to help kids and adults develop an interest in science. Presentations showcase the importance of hygiene and simple interventions to minimize risk of infection. 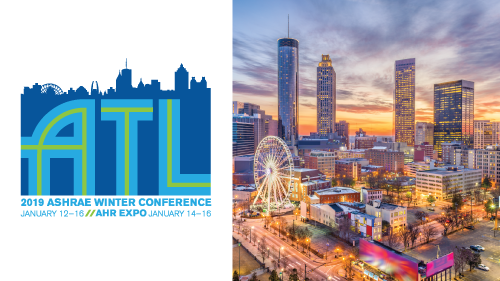 The 2019 ASHRAE Winter Conference will be held in Atlanta, GA! The Technical Program along with Committee meetings, Registration, the Bookstore and Speakers Lounge will be at the Omni CNN Center and the Georgia World Congress Center. The AHR Expo will take place at the Georgia World Congress Center, Monday, Jan. 14 – Wednesday, Jan. 16. 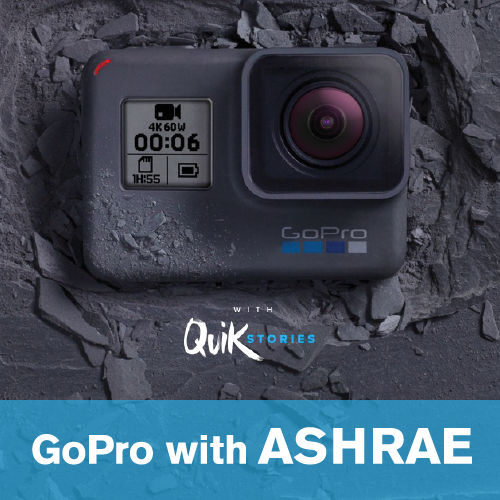 Your ASHRAE Conference badge provides free entry to the AHR Expo show floor, or you can register for free until January 9, 2019. After January 9, 2019 the fee will be $30 to attend the AHR Expo only.